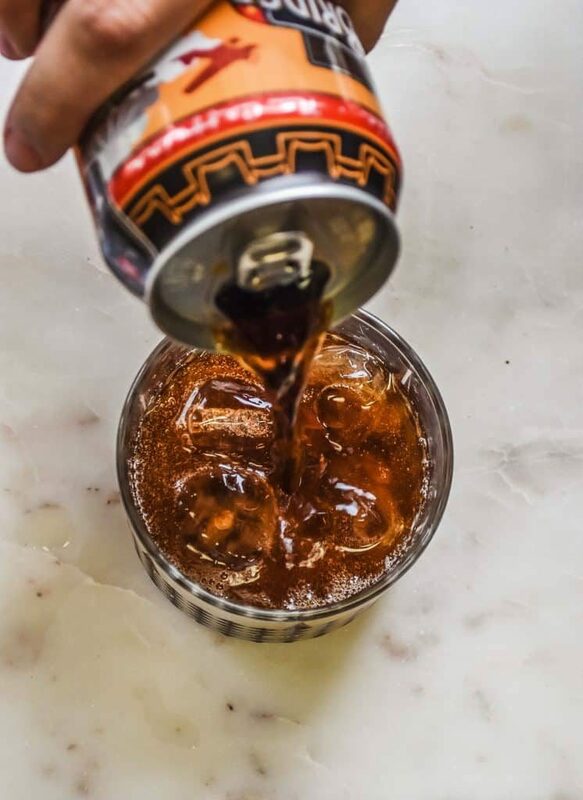 This is an easy spiked root beer cocktail full of root beer flavor with a touch of alcohol. Perfect cocktail for parties, football, and gatherings. My husband has a favorite root beer cocktail at one of our local restaurants that he loves. The drink and the restaurant :), for clarification. The problem is that cocktails and most places have gotten spendy, spendy, spendy! 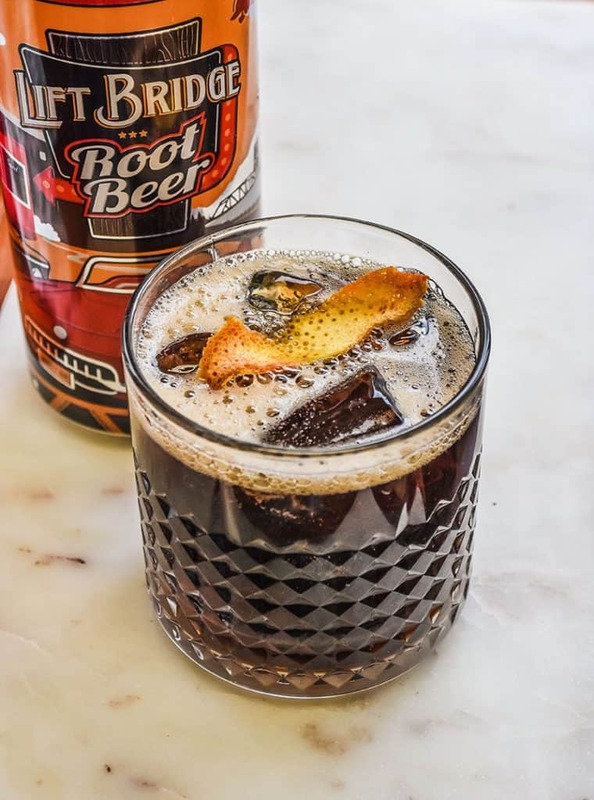 This root beer alcoholic drink is around the $10.00 range. It truly is worth it, it is soooo good! We still aren’t about spending our budget on cocktails. Especially when we can create them at home. Right?!? 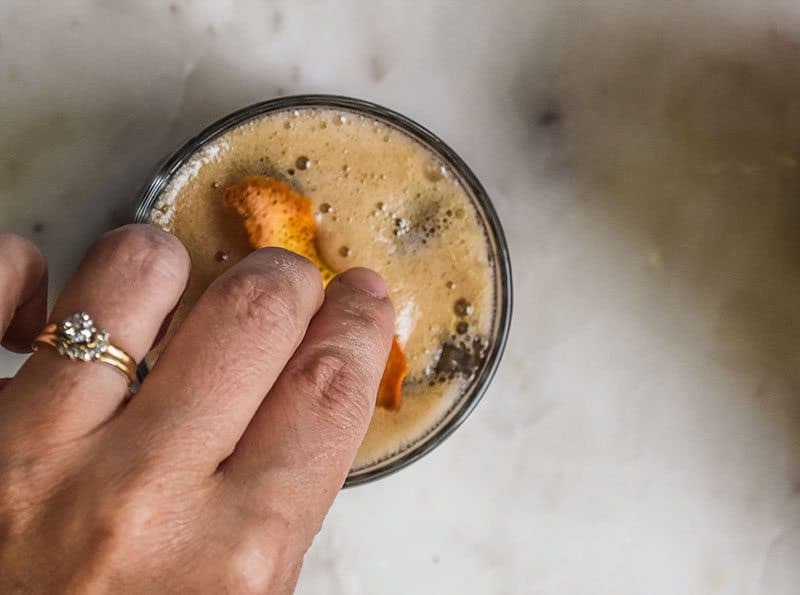 This particular root beer cocktail is crazy easy to make with ingredients we usually already have on hand. And if you have a small bar at home… you can too! The best part, your kids can have “kiddie cocktails” while you have yours. Simply sub out alcohol for more root beer, carbonated water, or juice. This cocktail is wonderful for parties, football games, and entertaining because it is almost universally loved. And you don’t have to be a skilled bartender to make it. Off topic, I have always liked the idea of being a bartender for a few months. Maybe I have watched too much Cheers but I have this idea in my head that I would be able to learn so many things about different kinds of people. The stories, and conversations I might overhear intrigues me. Maybe I am just nosy :). People is my thing and bartenders sure are about people. I think I would like that. Eh, maybe I’m nuts. Tip: the quality root beer you use makes a big difference! We regularly have cocktail nights at our house. Sometimes it is just with my family which, as you probably know, is still enormous! My sisters and I have cocktails usually about once a month. We try to get friends over every few months for dinner or just cocktails and cake. The community that comes from getting together around the table just can’t be replaced, can it. Give this cocktail a try. 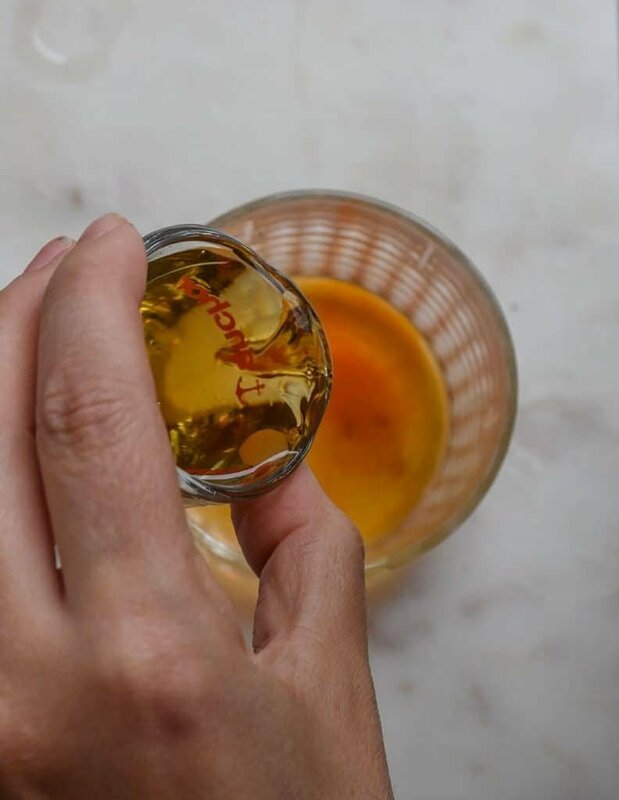 We recommend inviting friends over for an easy cocktail night. They will love this drink and you can rest easy knowing it is easy to make. Mix vanilla and bourbon. Add ice. 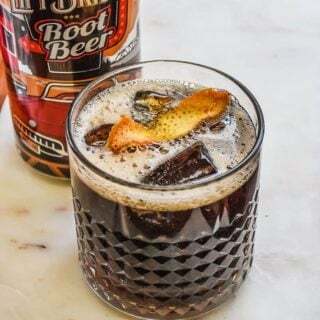 Top with root beer and orange peel. 3-Ingredient Olive Dip || Serve this up with crackers and cocktails for a cocktail party that is as delicious as it is easy! One-Pot Sweet Potato Chili || Okay, this might not be terribly elegant but it is what I would serve YOU. I love this recipe. It feels like a warm hug from the inside. I make this often for company and they never leave my home feeling anything less than loved. Truly. Simple Comfort Food: 30-Minute (or less) easy family meal ideas || Maybe you are bravely trying inviting someone over for dinner. 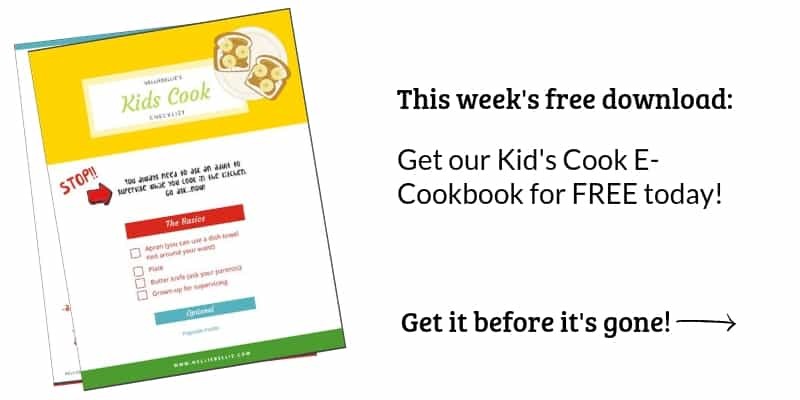 These are some great ideas for an easy, comforting meal that you might try.